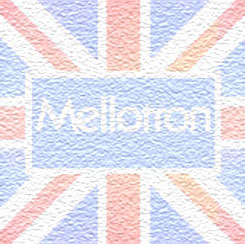 A recounting of the developement of the Mellotron and Chamberlin. A timeline of Chamberlin manufacturing and sales. Photos of all models of Mellotron and Chamberlin, plus the people who have brought them to you. Link to The Audities Foundation. As they appeared in magazines and flyers of the day. A hit (and near miss) parade of the Mellotron's appearance on music recordings.